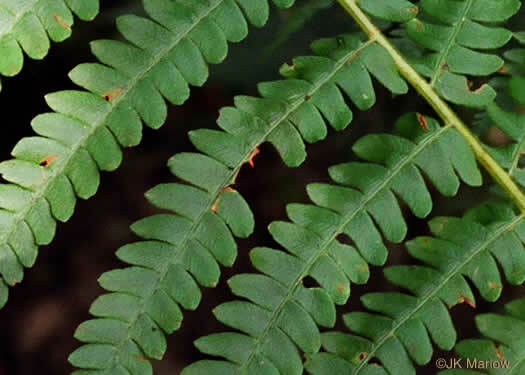 Your search found 2 image(s) of pinnae of Cinnamon and Interrupted Fern. Leaflets deeply lobed (pinnate-pinnatifid); lobes rounded &slightly pointed, per Ferns of the Smokies. 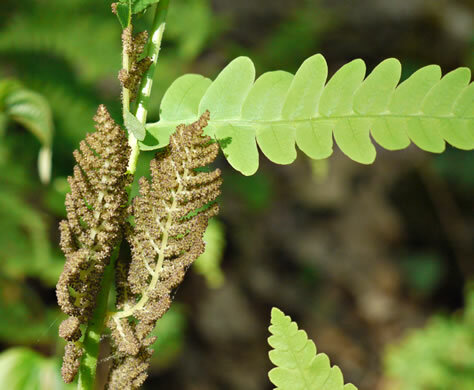 Lobes of vegetative leaflets rounded (vs. slightly pointed in cinnamon fern, per Ferns of the Smokies.